Willis Horton Racing’s homebred Long Range Toddy collared heavy favorite Improbable in late stretch to capture the first division of the $750,000 Rebel Stakes (G2) at Oaklawn Park on Saturday. The three-year-old colt moved up to third on the Road to the Kentucky Derby leaderboard following his victory, sitting with 53.5 points currently. Trained by Steve Asmussen, the son of Take Charge Indy finished fourth on debut in August but has reached the top three in his six subsequent races, including the last five coming with stakes foes. The Kentucky-bred colt broke his maiden going away at Remington Park in September and won a pair of black-type events, thereafter, with tallies in the Clever Trevor Stakes and Springboard Mile Stakes. Long Range Toddy commenced his three-year-old season in the Smarty Jones Stakes at Oaklawn and closed for a smart runner-up finish. He checked in third after enduring some trouble in the recent Southwest Stakes (G3), which preceded the Rebel. The consistently good sophomore has steadily improved since his unveiling as a juvenile. He registered a solid 97 BRIS Speed figure on Saturday while garnering a 104 BRIS Late Pace figure, hinting that more distance will suit him going forward. Long Range Toddy combines tactical speed with a push-button turn of foot. The Rebel winner broke alertly, kindly rated to the stretch, and he answered in a big way when given his cue by pilot Jon Court. This was a very professional performance. Bred in the Bluegrass State, Long Range Toddy is out of the Unbridled’s Song mare Pleasant Song, who herself is out of multiple graded stakes heroine Pleasant Temper. Long Range Toddy hails from the same family as 2001 Preakness (G1) and Belmont (G1) runner-up A P Valentine. The Kentucky Derby contender has the pedigree to endure a classic distance. His versatility in running style will aid him in longer and more difficult assignments this spring. And he also has a fine foundation with seven lifetime starts under him. 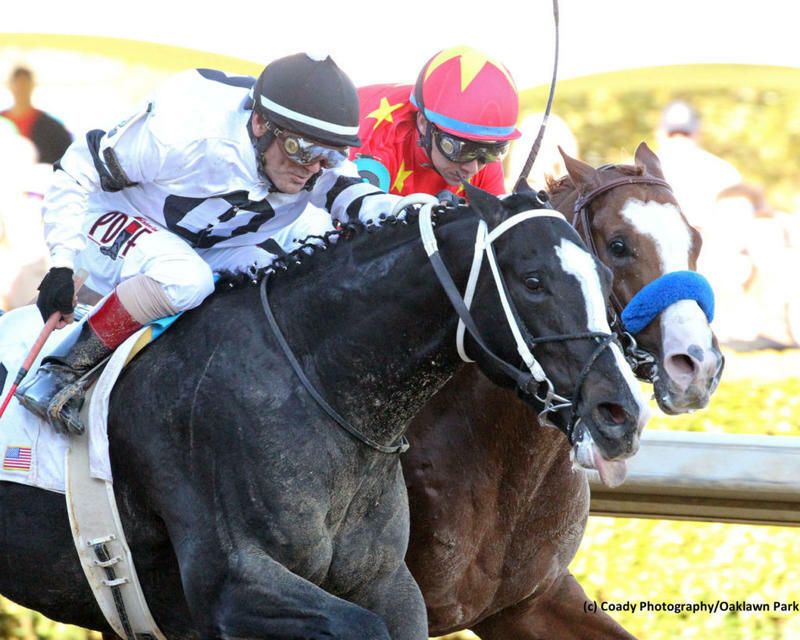 Long Range Toddy will have one more Kentucky Derby prep run prior to the first Saturday in May. If the colt shows even minor improvement going forward he warrants a serious look for a conditioner long overdue for some Derby glory.